CS03C00605 is a premium furniture store theme for CS-Cart version 4. This theme works with CS-Cart 4 to 4.1.4. 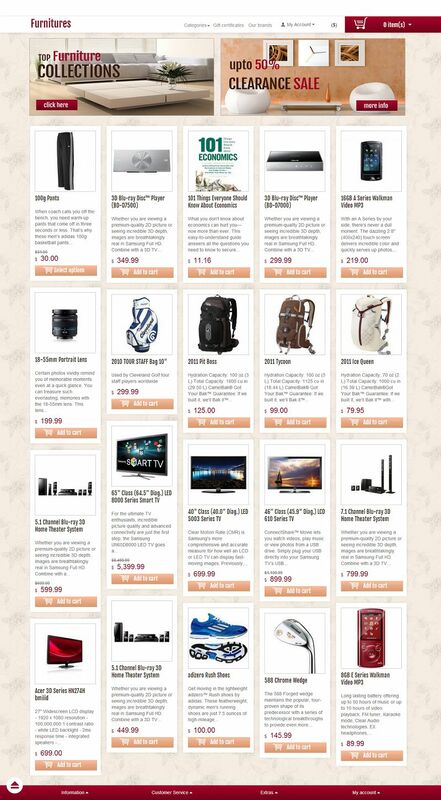 It provides a great main page layout to display your featured products, banners and categories. You can easily customize the look & feel of your store with no HTML or CSS knowledge. This theme also completely supports CS-Cart built-in theme editor.